I adore Cate Blanchett. I think she is one of the most intelligent, most capable and most stylish women on the planet at the moment. Who can forget her wonderful performances in both the Elisabeth movies and as Bob Dylan in I’m not there? But she is equally impressive on the street and the red carpet in terms of style and to me she is a true 40+ style icon! So what makes her a style icon? 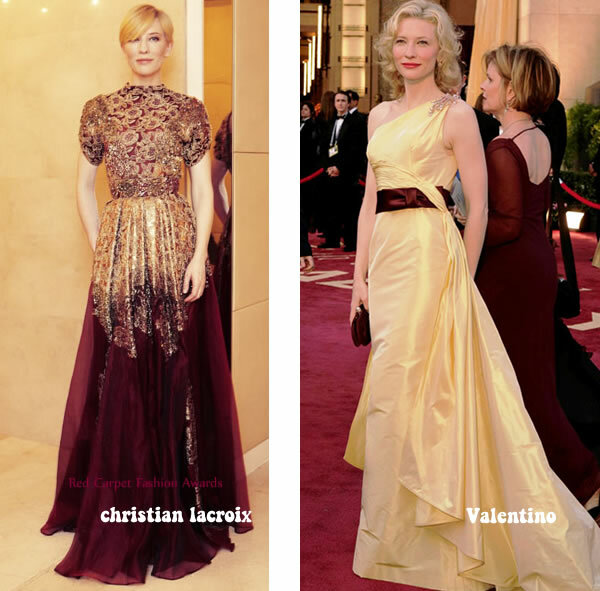 Cate Blanchett consistently looks very stylish in all the clothes she wears. But she is also willing to take risks. I admire that, because it’s all too easy to go with an elegant and safe style and never be on the worst dressed list. 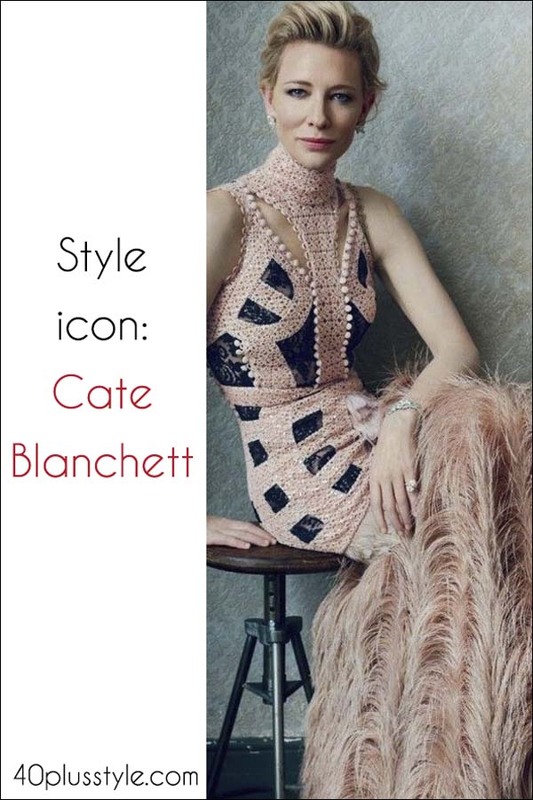 Cate often goes for a fashionable look, which is usually surprising, often incredibly stylish and never boring. This is just the first of over 40 style icons I plan to feature on this site. Who is your favorite style icon? I love Lauren Hutton, Gloria Steinem, and Susan Sarandon. Others as well! And I agree with you; Cate is an icon. All great examples. So many ladies still to feature! Isn’t she just gorgeous. I love that she is just so natural. You never get the idea that she puts in a whole lot of effort to look this good. She seems to be effortlessly chic! Cate is my all time fave ! Talent and style. Another great celeb with style to me is Helen Mirren. Yes, absolutely. I adore her too! I’m totally in love with Cate! Previous post: Do you have a signature style?